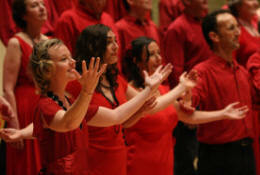 How would you like to support one of the leading choirs in the South West? Glorious Chorus, the 50-plus strong choir from South Devon, has already established a reputation for passionate and polished performances of their original music around the South West, and are now looking to expand and attract new audiences further afield. The choir was shortlisted for the BBC’s ‘Last Choir Standing’ TV show, which they only withdrew from when told they couldn’t perform any of their original music. Last year, in 2009, Glorious Chorus dazzled at Port Eliot Festival and have been invited back in 2010, a season which now also includes appearances at the prestigious Glastonbury and HOME festivals. 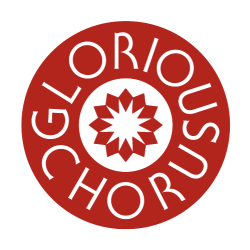 All the music for Glorious Chorus is written or arranged by their director and conductor, Helen Yeomans, a rising star in modern choral writing. Her writing has been accredited by the Unisong International Songwriting Compeition and the choir were described recently as ‘Outstanding’ by choral master, Nickomo, at the Bristol Choir Convention. Glorious Chorus sing fresh, uplifting, conscious music for today’s audiences – would you like to be part of their success? If so please contact us to discuss the sponsorship opportunities available.